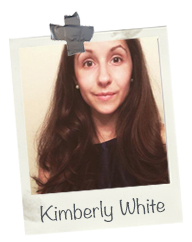 Kimberly White is the Internship Coordinator for the rise 3 Initiative at Birmingham-Southern College, an experiential learning and critical reflection opportunity for students in the domains of faculty-student research, internships, and service-learning. She also serves as the BSC Campus Advisor to the Pi Beta Phi Fraternity for Women, Alabama Alpha chapter. She is a recent graduate of the HESA program at Boston College and resides in Birmingham, Alabama.